Right now Australians are scrambling to understand what’s “gone wrong” with young people. Whether it’s questioning the culture of alcohol fuelled violence that is dominating news or commentary about the lack of culture amongst the younger generations there are many commentators and public figures ready to share their solutions for how to fix Australia’s young people. For South Australian senator Cory Bernardi it’s a return to traditional families or for parenting author Maggie Dent it’s a returning a “stolen boyhood” to young boys, but these calls for Australians to return to tradition (particularly for young men) are reactionary, out dated and dangerous. Bernardi’s comments have been well documented, discussed and challenged by many, but commentary like Dent’s shares many of the same values as Benardi, but often goes unchallenged. The problem with Dent’s analysis is that boys don’t fit into the narrow concept of “boyhood” and never have. Not all men are “warriors” as she suggests and they shouldn’t be expected to fit into that box. You don’t fight a warrior culture by creating more warriors. Centuries of gender history and research have shown us that masculinity and femininity have had a diverse range of interpretations across many different cultures and aren’t a static natural state. By continuing to define masculinity in such a narrow way we entrench many of the identity issues young men face. Boys and girls will be hurt by a return to tradition because traditional gender roles and structures don’t match what modern Australia needs. Gender roles are changing because they need to change and because young boys and girls who don’t fit those traditions are being hurt by cultural expectations to be something they are not. 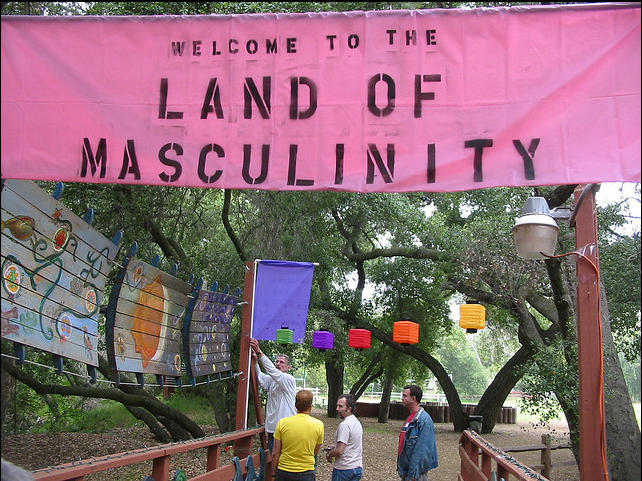 A great example of the movement against tradition is Soften The Fck Up – a cultural change movement led by young people trying to challenge traditional ideas of masculinity. Recognising the high rate of mental health issues for young men the campaign questions the masculine stereotype of needing to “harden up” rather than deal with emotional issues. Young Australians are creating movements like Soften The Fck Up because traditional gender roles are broken and more diverse, accepting and modern gender roles need to take their place. What many traditionalists struggle to comes to terms with is that as the role of men changes so do the privilege structures that have benefitted men and disadvantaged women for centuries. Protecting traditional ideas of masculinity are really a protection of privilege. We see this in many of the debates about what makes a healthy family. Despite a growing amount of evidence that non-traditional families (such as queer families) can thrive we hear a constant push for tradition over evidence. In some cases children of queer parents can even exceed their traditional family equivalents on some indicators. The presence of a man and woman does not necessarily equal a healthy family. Outdated gender roles and social structures exacerbate the identity issues we’re seeing in the news – they are not the fix. When those who benefit from the privileges of these traditional structures cling tight to their memories of the past we lose the opportunity for our community to grow, evolve and create a more understanding environment for Australia’s young people. Our world and our community are different now and our gender roles need to reflect that. Returning to an age where men are emotionless “warriors” playing a pre-determined role and ignoring their true diversity will only serve to damage men and women and entrench these issues further.